Conflict coaching enables people to work through issues they are having difficulty dealing with on their own. Coaching helps managers, supervisors, HR professionals, Ombudsmen and others develop skills to deal with workplace conflicts and develop effective leadership and communication styles. Conflict coaching can assist a group or team to build high-performing conflict free work environments and is useful in leadership development, professional development, and team building. During the coaching process, you learn to think about a conflict differently and explore options for handling it effectively. The purpose of conflict coaching is to enable the manager or other employee to develop constructive approaches to conflict and put them into action. 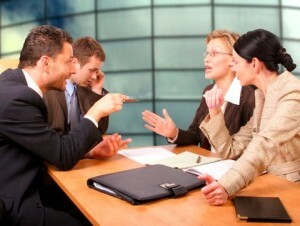 Coaching, along with training, is a component of a comprehensive organizational conflict management system. Ben Adkins is a master coach in workplace conflict management. Contact us for a free consultation to determine if coaching is a fit for your situation.